Shortly after picking up this 2012 Dodge Challenger R/T from the dealer an appointment was made for our Level 3 Paint Protection Package. 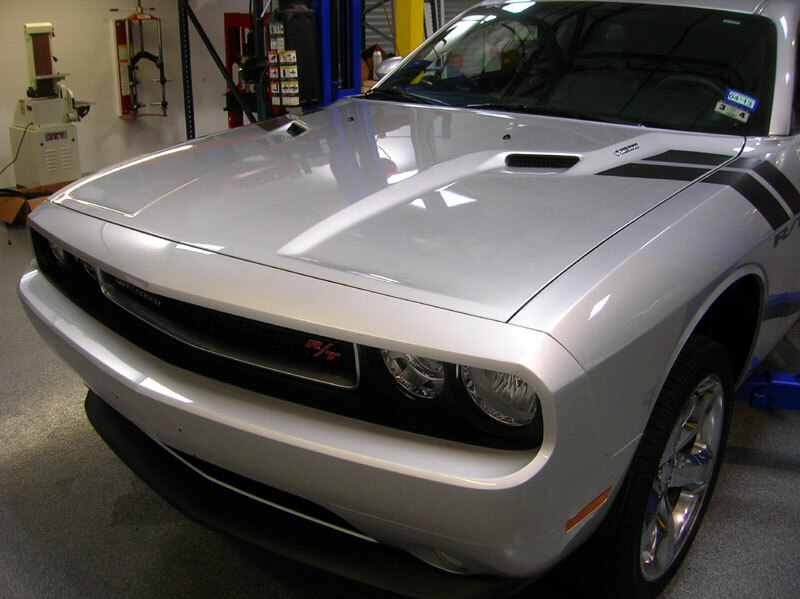 In the case of the Challenger, just about half the hood is covered with an arced piece of 3M Scotchgard Paint Protection film, along with matching front fender coverage along with the whole bumper cover! Ready for the road now!.